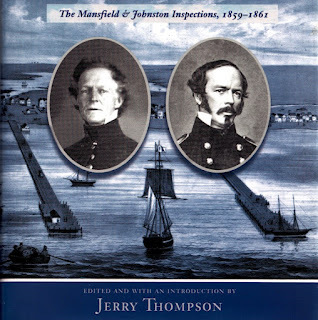 There's a relatively brief overview of the life and times of Joseph Eggleston Johnston (February 3, 1807 – March 21, 1891) during the 1850s in Chapter 9 ("A THING I DESIRE MORE THAN ANY OTHER MAN IN THE ARMY") of Erik Donald France's Joseph E. Johnston and the Family List, UMI #9997263 (Temple University, 2001), but new material is constantly coming to light. Pictured above is a scanned copy of a print of a scan of an undated photograph in the Library of Congress summarized in the catalog as "Head and shoulders, facing slightly left; in uniform." After scouring through scores of crude photographic records dating to the 1840s, it seems likely to me that this one dates to sometime in the 1850s. 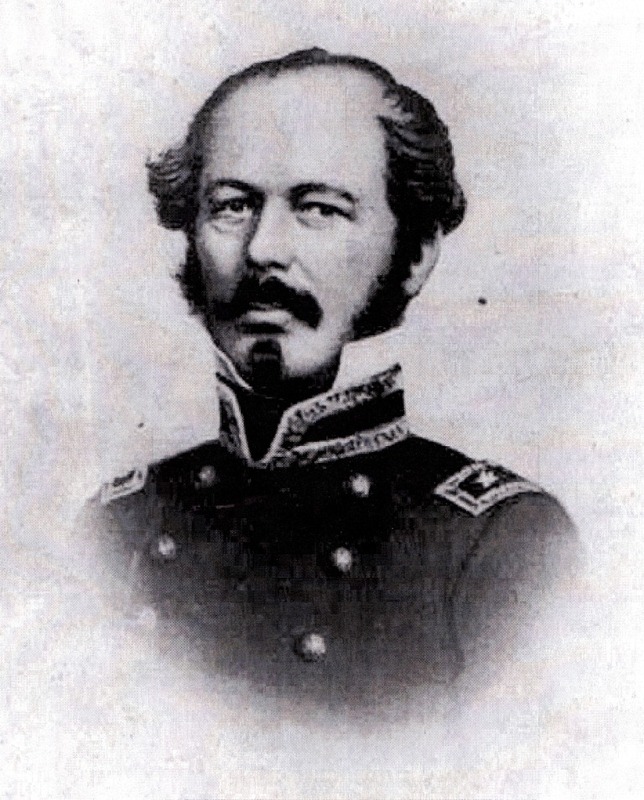 Johnston, in US Army uniform, seems to carry the rank of lieutenant colonel here, but I'm not certain at this point. In any case, it's a nice change from the ubiquitous image of Johnston in Confederate general's uniform, circa 1862, and better reflects his extensive service in the United States officer corps prior to the American Civil War. 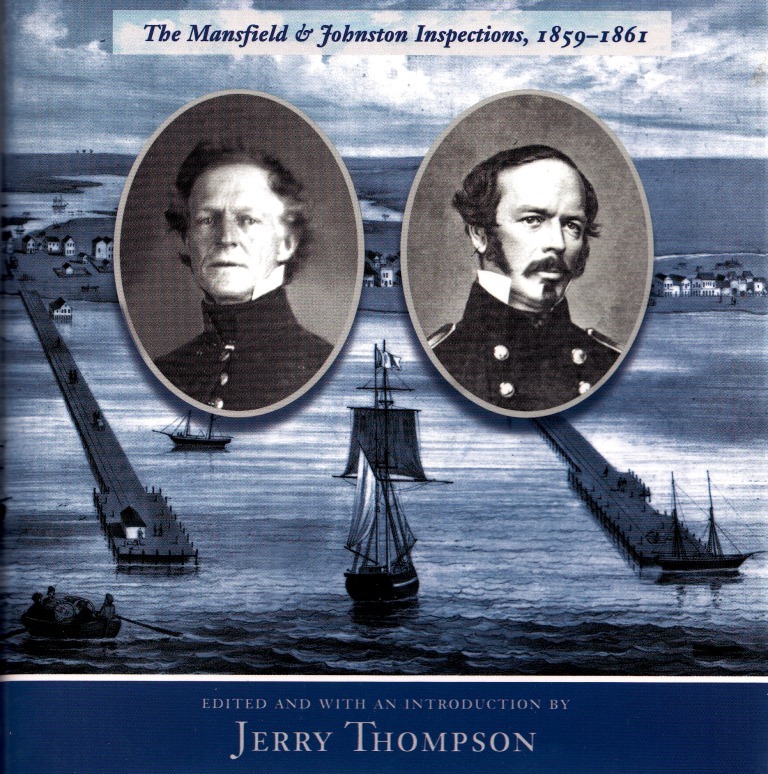 The best image of Joe Johnston I've seen so far is feautured in Texas & New Mexico on the Eve of the Civil War: The Mansfield & Johnston Inspections, 1859-1861 edited and with an introduction by Jerry Thompson (Albuquerque: University of New Mexico Press, 2011) on page 32 -- original at United States Military Institute, Carlisle Barracks, Pennsylvania. Pictured above is a closeup of the book's cover; on the right is a cropped version of that photograph, dating to 1859, give or take a little.